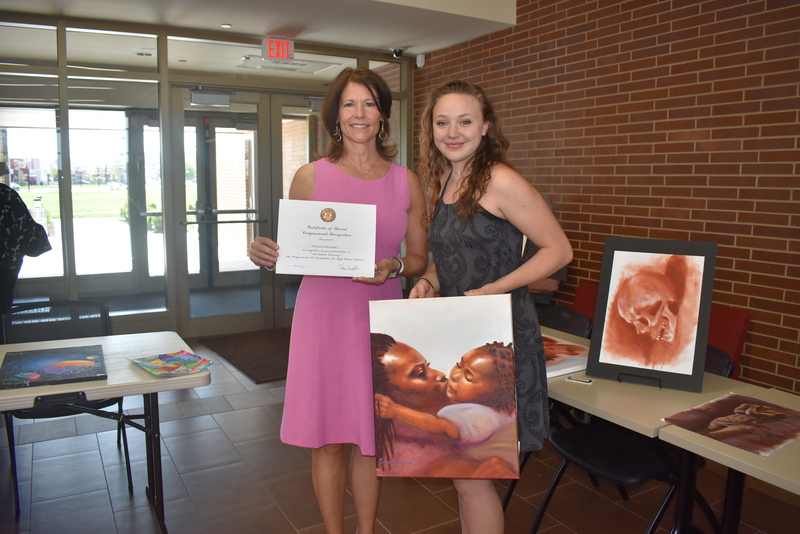 MOLINE – Today, Congresswoman Cheri Bustos (IL-17) announced the winner and runners-up of the 2018 Congressional Art Competition in Illinois’ 17th Congressional District. 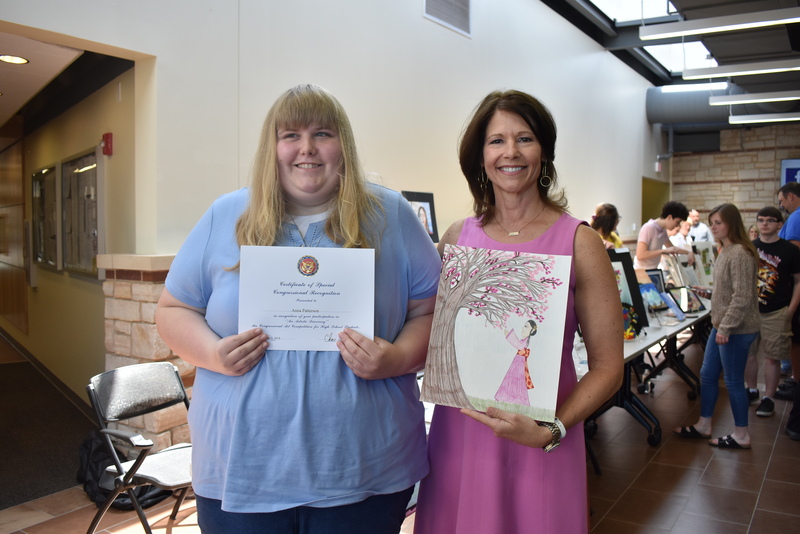 On Saturday in East Peoria, Congresswoman Bustos held her third annual Art Competition Showcase, which allowed students to display their artwork in a gallery setting. 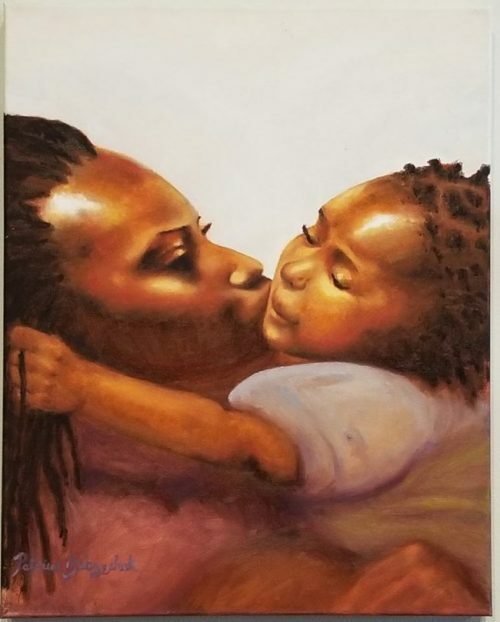 The first place winner this year is Patriece Grabyshak from Rock Island, whose submission “Beyond Words” will be displayed in the United States Capitol. 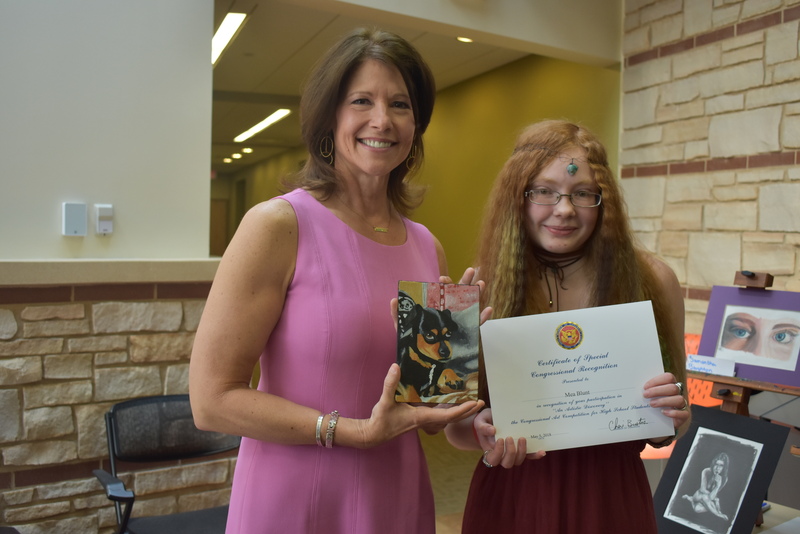 The five runners-up are Julia White, who will have her artwork displayed in Congresswoman Bustos’ Washington, D.C. office; Mea Blunt, who will have her artwork displayed in Bustos’ Rock Island office; Andrea Avalos, who will have her artwork displayed in Bustos’ Peoria office; and Gracie Olson and Anna Patterson, who will have their artwork displayed in Bustos’ Rockford office. 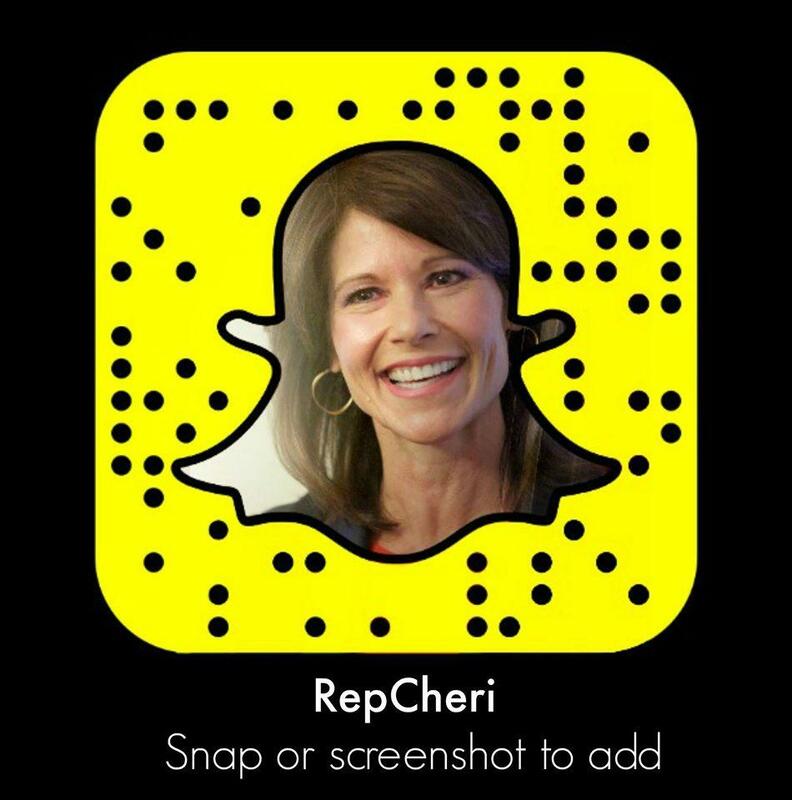 The Congressional Art Competition, first held in 1982, is a nationwide high school arts contest sponsored by the U.S. House of Representatives. 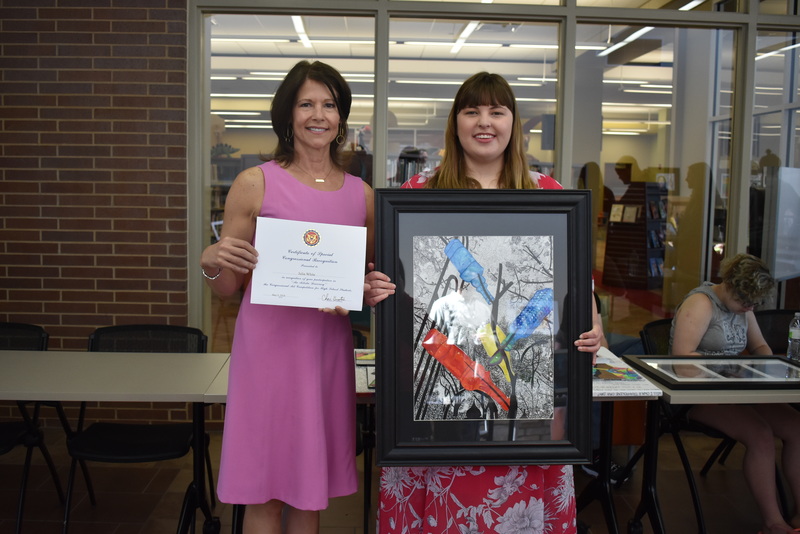 One winning piece of artwork from each Congressional District is selected for display in the Cannon Tunnel of the U.S. Capitol Building in Washington for the next year. The winner of the competition receives two airline tickets to Washington, D.C. to see their artwork displayed in the Capitol. 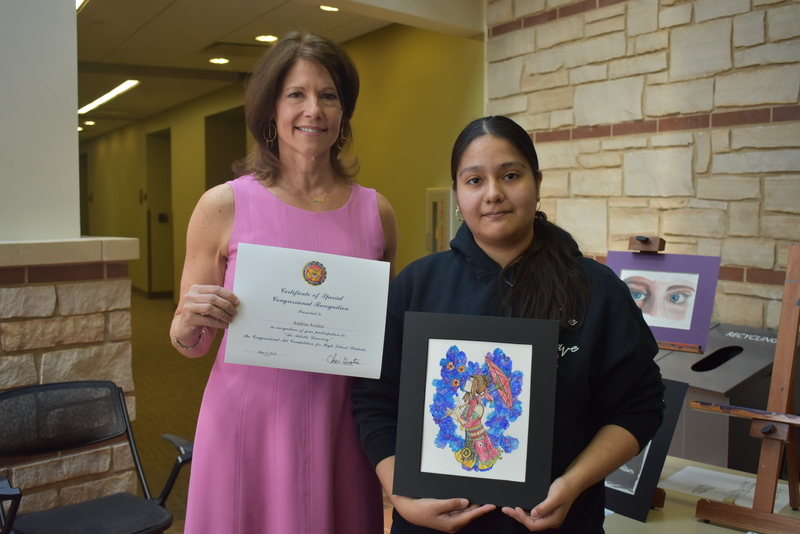 Runners-up will have their artwork displayed in Congresswoman Bustos’ Illinois offices and in her Washington, D.C. office for the next year. 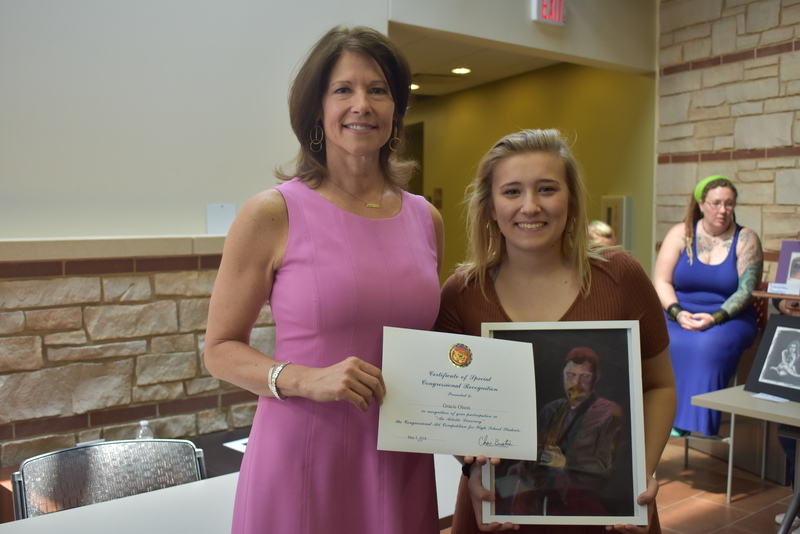 High school students from Illinois’ 17th Congressional District were eligible to submit their original artwork for consideration.